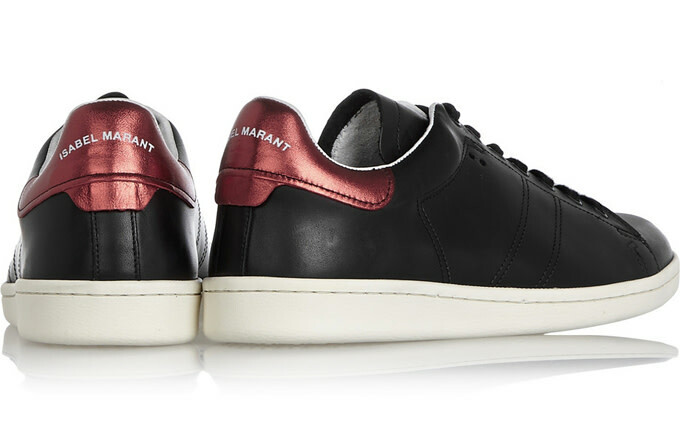 Isabel Marant is no stranger to sneakers. The leader of the sneaker wedge trend, the Parisian designer took a minimalist approach with her newest model. With its streamlined silhouette, the Etoile Isabel Marant "Bart" sneaker appears to take direct inspiration from the adidas Stan Smith. The high-end women&apos;s sneaker is equipped with a supple black leather, a contrasting red metallic heel patch, and a solid midsole. Instead of Three Stripes perforations, Marant used stitching details to create two diagonal stripes. 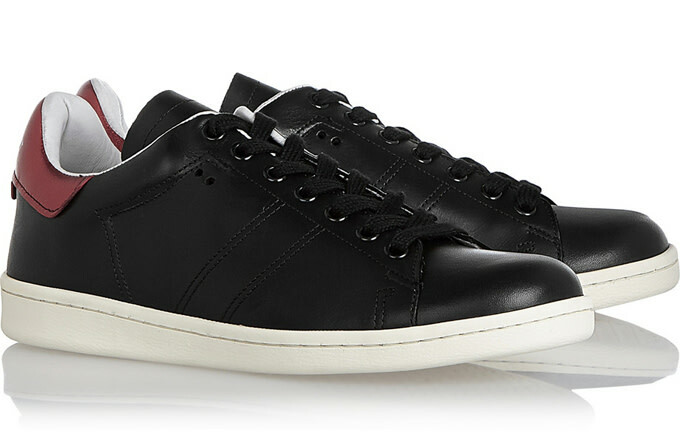 Like the Stan Smith, the sneaker is even branded right at the heel tab. If Stan Smiths are too basic for your bae, you might want to consider copping these as an alternative. It&apos;s going to cost $475, though. You can pick them up from Net-A-Porter here.